Fantastic app. 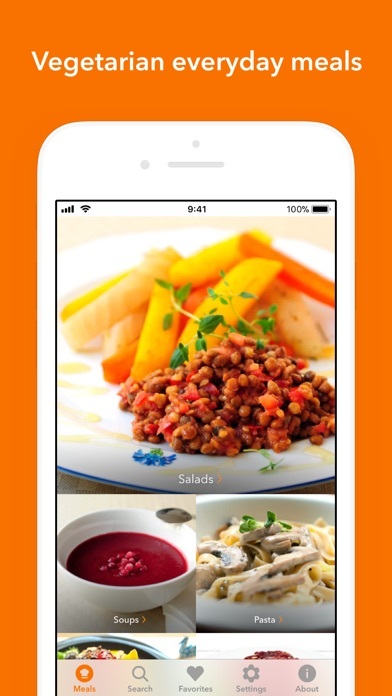 So many great recipes all in one app. So many great vegetarian recipes, just what I was looking for. Very cool app. Wonderful recipes. I love a recipe book that has beautiful pictures of the finished product. Recipes are few. Not anything you haven't seen before. Love the Filibaba veggie/vegan apps! 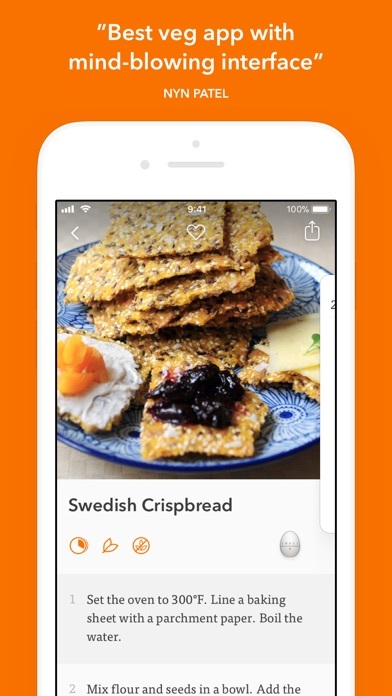 These Swedish recipe apps are a delight. The combinations are fresh and appealing with a twist. 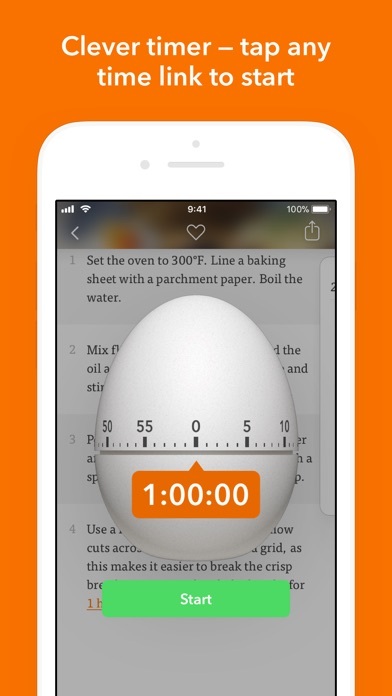 I downloaded the six including the egg timer. One has in-app purchase which I also bought on the strength of the other recipes. The smoothies have interesting ingredients with occasional Swedish accents like red currant and cardamom. The spreads also are well presented with easy to see nutrional data. Veggie Weekend is likely to become my go-to idea spot. Veggie Meals contain easy to put together recipes and the Vegourmet has more elaborate selections. Do try these! Am happily surprised and pleased! 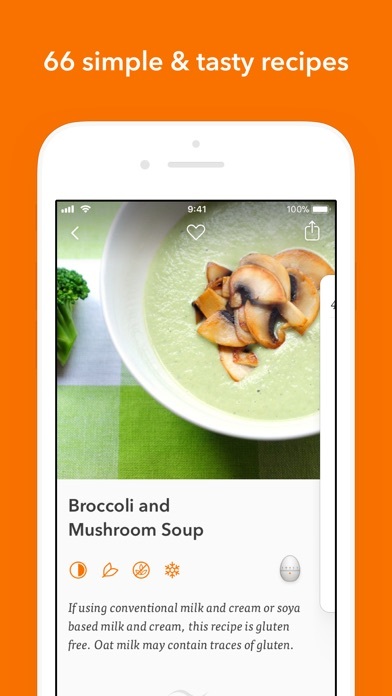 I had high hopes for this app as I am always looking for good vegetarian dishes. It features a variety of different food dishes but none of them looked appealing and there were very few in each section. I hope they update this app and give us more selection. I have long been looking for an app that will provide easy to make recipes for vegetarians, and I finally found it in this app. As stated, this is a wonderful app. Not commenting on the content, but the design of this app is beautiful. Not nearly enough recipes! Some free apps have waaayy more. Also, where is the nutritional information ? 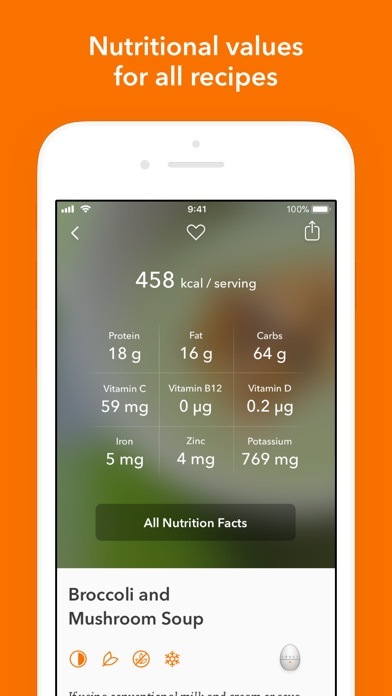 It would be helpful to have the amount of calories, carbs, etc. Lastly, the music is nice, but it should be an option to play it while cooking, not only when searching.